While working in Delhi I stumbled across some pretty decent looking fountains made by a company named Chelpark . After posting about a pen called the Chelpark Maverick and getting some insight from fellow FPNer Jimmy James I have concluded that the Chelpark Maverick and Noodler's piston filler are the same pen. In other words, it looks like a company named Chelpark in India is making Noodler’s piston filler for them. Below is a comparison of the two as well as a general review of the Chelpark Maverick. Noodlers Piston... hard to tell apart right! 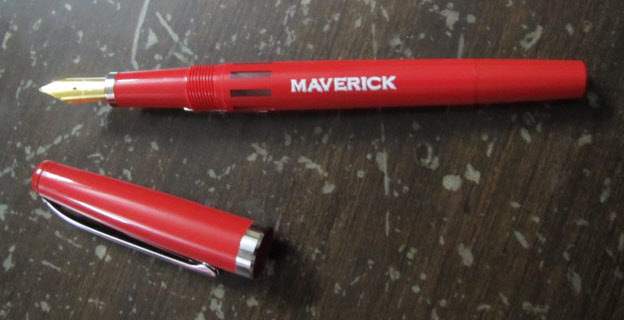 Here is the Maverick with unscrewed piston to match the Noodler photo above. 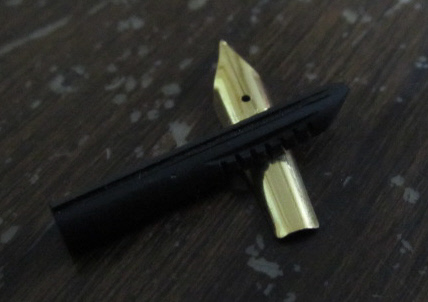 -Note: this is the only difference between the two pens… the Chelpark nib is gold colored and the noodle is silver. The shape is the same but the metal used is different. -notice that every single part is identical... down to the plunger. 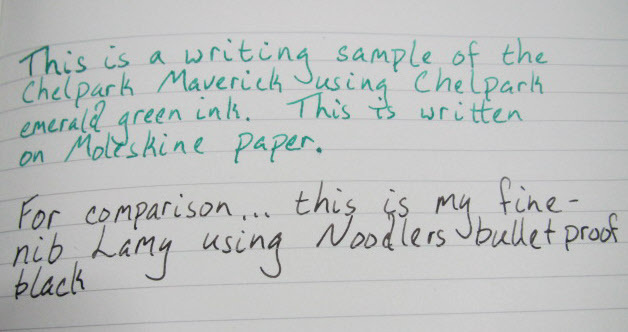 -Several reviews have mentioned the Noodler has a strange smell. I can confirm that all the Chelparks I have found so far have a very peculiar smell to them. I know this is a strange thing to point out but when was the last time you bought a pen and really noticed a smell? -I would consider this to be on the EF side of fine. This sample feathered a tad using Chelpark ink on Moleskine but it writes close to EF on plain typing paper. 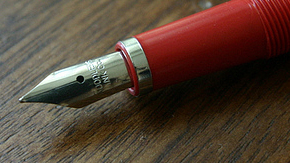 The nib is rigid but smooth with just an ever-so-slight hint of tooth. Most of the reviews I have read of the Noodler describe the line and experience the same. Noodler’s piston filler and the Chelpark Maverick are the same pen (as far as I can tell) with the exception of the imprint on the clip and the metal of the nib. These are very fine pens for the price. I’m trying to track a few down while I’m here in India. So far I have only been able to find 7 of them but you can pick one up from me in the “for sale” section for $10 if you are quick enough. Noodlers photos generously provided by Jpeck and SamCapote. Thanks so much! You can read their reviews of the Noodler FPs here. Bah... I can't help but feel betrayed. Alas, it is what it is. Do you have any side by side photos of the two pens at hand? That's some dang serious detective work! I hereby nominate you for a Lt. Columbo Award for 2011.
i feel betrayed. but i still want the noodlers flex. lol. I wonder if Nathan at Noodler's gets those custom swirled colors specially manufactured? 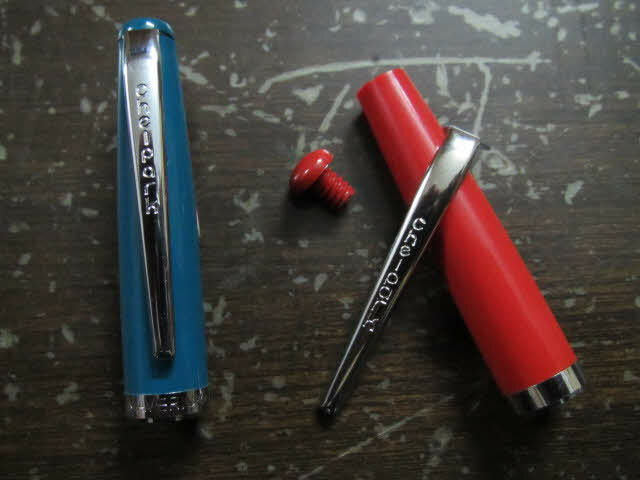 Now who makes the "new" Noodler's eyedropper that comes with Nikita? 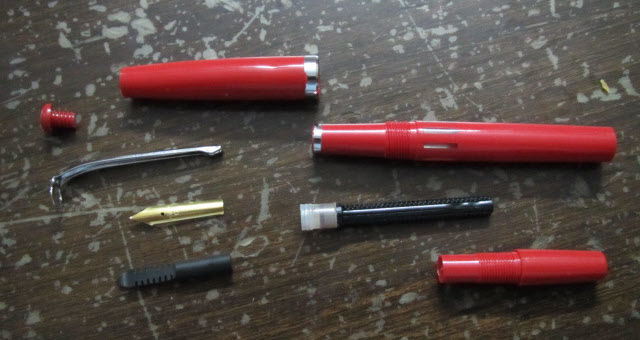 I like these pens for their "Kit Car" aspect-- it's pretty easy to see every part of the pen for cleaning and maybe repair. I have swapped out more nibs on these pens than on any other pen I own, due to the ease of doing so. Do you have access to any of the flex steel nibs as well? 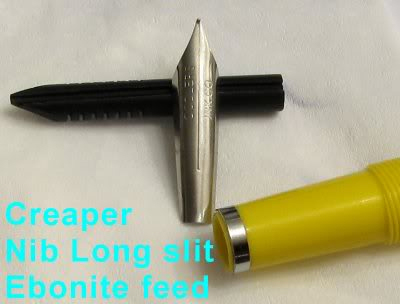 I would definitely grab a flex steel nib maverick if you could pick one up. this year, or this month, or, more likely, this very day, we have failed to practice ourselves the kind of behavior we expect from other people. I thought it was common knowledge that the Noodler's pens were made in India and modeled on Indian models - I don't think betrayal is what anyone should be feeling. Noodler's, at the very least, is making these inexpensive Indian pens easily available in the US without much of a markup. Plus, Nathan's flex-nibbed pens offer a major difference in nib, as does his creaper nib, as do all his little innovations. This came up in a google search, so this pen has been around a long time. It seems to me that the cap of the eyedropper (which now also comes in 4.5 ounce Dragon's Napalm, btw) looks a lot like one of the Chelpark eyedropper pens Kevin has come across, though the body of the pen is a bit different. It's the Chelpark Top Gun, I think. This also makes me wonder if the ink Nathan has mentioned making in bulk as a private label ink for a foreign company for sale in a foreign market is Chelpark ink. Great work on the comparison, Kevin. I want to stress I am very happy Nathan has brought this product stateside. I am extremely supportive of the concept of getting fountain pen ownership to the masses with an affordable decent quality pen and inexpensive ink. Unfortunately I don't actually have a Noodler on hand at the moment. I had to rely on photos. Thankfully the Noodler pen has been extensively reviewed on the forum. I am in India right now. I will be bringing some of these home to the US. I'll try to post a side by side if I can next month. No need to feel betrayed. I'm rather impressed with the pen for the price. Noodler just found a way to make a more affordable pen broadly available on the US market. Not a bad idea! I'm still working on trying to figure out if the eye dropper is also a Chelpark. My hypothesis is yes but I have not found the exact model yet. 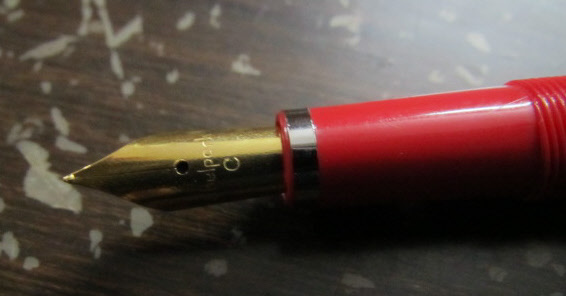 Can you point me to any pictures of this eyedropper? Interesting, I always thought they were made by Dollar in Pakistan. They do indeed have a funny smell, but they're a pleasure to write with. SamCapote wrote a great reveiw of the whole noodler lineup. He was so generous as to let me use some of his photo. 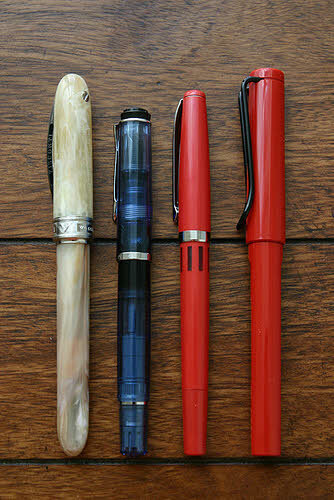 You could check it out for a pic of each of the noodler's pens. Tell me about any of your new pens and help with fountain pen quality control research! I think their rollerball (that is refillable with ink) uses a "Dollar pen" body. 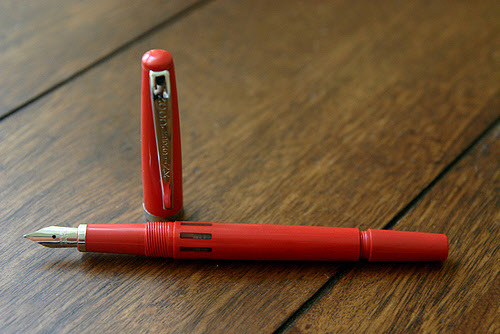 It has a distinctly different body than their fountain pens and looks more cheaply made. Edited by nardo800, 16 March 2011 - 22:56. Chemyst is not and never was a representative of Noodler's Ink. As misrepresentations like this are not allowed on FPN, Chemyst's right to participate on our board was therefore withdrawn, as from March 2016. Well, I'm probably too new to the FP community, but I had no idea it was an Indian model and not Nathan's own creation (like the TWSBI to Speedy's). 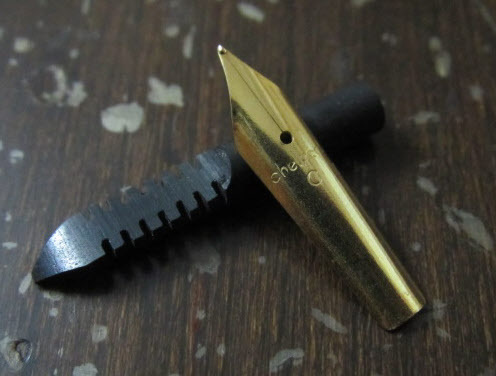 I thought it was Noodler's attempt at making a pen with a flexible nib, as i've read in previous posts about how Nathan himself set the nibs onto the pens, one by one. I haven't kept up with their previous pens, neither. So, I do feel betrayed in this sense. Edited by kcunvong, 16 March 2011 - 22:25. It does say on the Noodler's website that it was a collaborative effort between various US states, Switzerland, and India... so not surprised. I do know that the nib is different, and I do know for a fact that Nathan hand-set each nib. So the nib is definitely something of Nathan's influence. I don't get the surprise or betrayal factor... did people seriously think that he was hand-pouring the resin, creating clips from scratch, and physically making the pens himself? Just because it's under your brand doesn't mean you physically manufacture all the parts.... just that you're responsible for the end product/design. And again, the nib is what makes it special. Or do you feel betrayed that it's not made in America? Lots of things are assembled in America that comes from parts from overseas. Think about the inks too - the end product is manufactured in America, but no doubt many of the ingredients probably come from overseas. I think Nathan would do whatever it takes to develop an end product that is as affordable as possible, using whatever sources necessary.